Over the past year the subject of Tesla Model 3 production has been scrutinized and possibly over scrutinized by those in both the business and financial media in addition to online tech journals and established automotive publications. The financial establishment has it seems to be consistently dire and harsh in it’s predictions and assessments about Tesla, consistently citing the lack of short term profitability and the current cash flow without regard to the bigger picture of what Tesla has already achieved and what they will likely soon achieve. Tesla has already caused a tectonic plate shift in the automotive world by showing that viable, long range, aesthetically attractive electric cars can not only be produced in volume, but with the Model 3 have now been able to do this at a mid-range price point. Thus far they have been able to ramp up to 6000 Model 3 cars a week and are now delivering a mass market electric car without having to skimp on range, performance or design. When over a half million people were willing to put down 1000 dollars on a not yet available electric car in the spring of 2016 it should have been a wake up call for the industry. Now in the final quarter of 2018 it seems big auto has yet to wake up with no company offering any vehicles that could be considered a true competitor to the model 3. While the European luxury marques such as Audi, BMW and Mercedes and Jaguar now seem to be almost ready to offer over 200 mile range luxury crossover vehicles either this year or next the spec sheets show they have yet to catch up to Tesla in range, performance and very importantly in efficiency. The specs on the recently released Jaguar I-Pace and next years expected Mercedes EQC seem to indicate close to 250 mile real range have battery packs that would likely propel a Tesla crossover close to 300 miles. Tesla has clearly achieved greater ranges with similarly sized batteries by not only effective light weighting and aerodynamics but also have clearly been able deploy more efficient electric motors and inverters. The end result is that the current long range Model 3 has a 310 mile range with a 75kwh battery and in fact without software limiting the range could in emergency situations achieve an extra 30 to 40 miles as was found out during some recent natural disasters in the U.S. The Tesla Model 3 also been given sterling safety ratings from the NHTSA. The agency announced the Model 3 has the lowest likelihood of injury of any car ever tested. It achieved a five star rating in every safety category which may in fact make it one of the safest cars on the road.Tesla’s recent production ramp up while having a few snags and stumbling blocks has largely achieved it’s production goals and as of the third quarter the Model 3 was not only the best selling electric car globally but also the fourth best selling car n the U.S inclusive of ICE cars. According to the respected Zach Shahan of Clean Technica over 24,000 Tesla Model 3’s were delivered in September. Tesla’s Model 3 accounted for over 40 percent of the electric cars sold in the U.S. in the third quarter of this year. We can expect production numbers to rise steadily from over 80,000 Model S, Model X and Model 3’s delivered by Tesla in the third quarter of this year. Most importantly the Model 3 can already be viewed as a break out product simply be viewing the nearly half a million pre-orders and the our expectation that the majority of these will be filled by this time next year. Whether the fossils of the fossil fuel industry, big auto or the financial press are willing to admit it. Tesla is in the midst of a successful ramp up in production and we can expect the Model 3 to not only wake up a resistant and slow to respond industry but should also acknowledge that the Tesla Model 3 will be the car that causes the tectonic plate shift that will speed up our transition to pure electric vehicles. 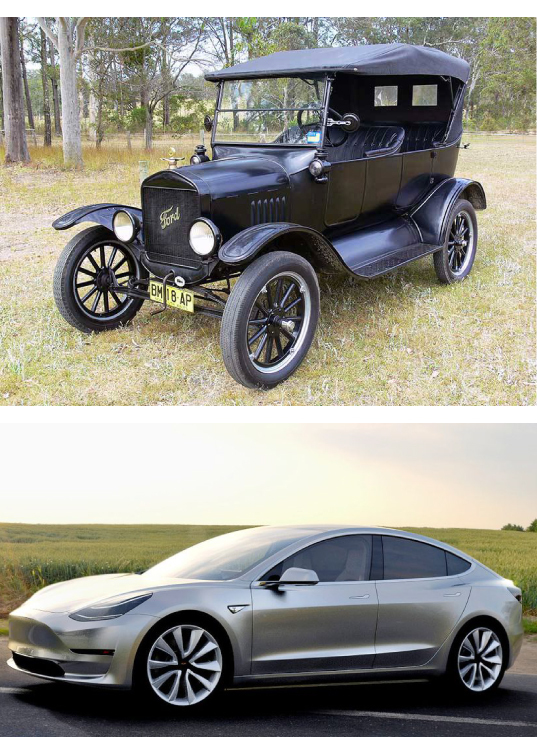 We also expect the ensuing popularity of the Model 3 to give greater visibility and impetus to this transition.In this sense the Tesla Model 3 will be more important than the Model T was in the early 20th century and this will in the future be seen as the first shot over the bow of a still reactive and reactionary industry. Tesla is a multi cad environment using Alias Surface studio, NX & Catia.